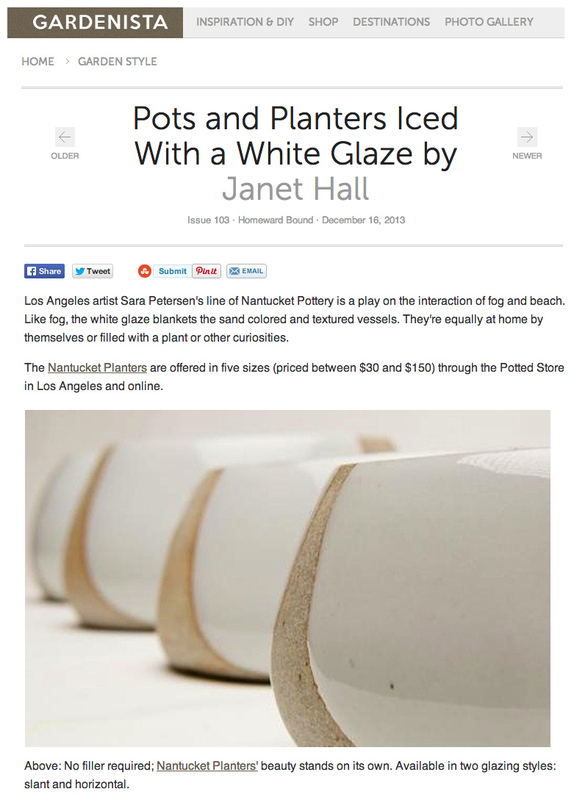 Los Angeles artist Sara Petersen’s line of Nantucket Pottery is a play on the interaction of fog and beach. 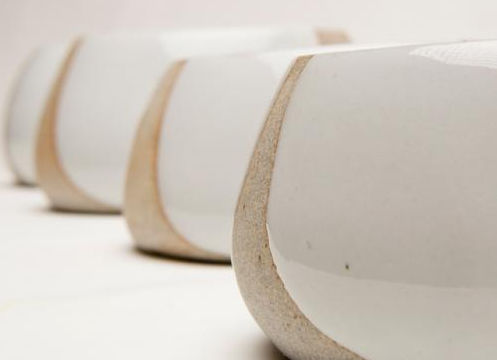 Like fog, the white glaze blankets the sand colored and textured vessels. They’re equally at home by themselves or filled with a plant or other curiosities. The Nantucket Planters are offered in five sizes (priced between $30 and $150) through the Potted Store in Los Angeles and online.